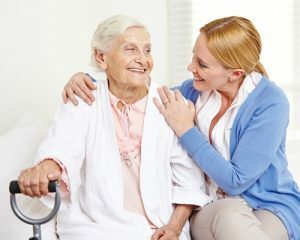 If you’re one of the more than 43 million people in the U.S. caring for an aging or ill family member, spouse, or partner you know how complex it can be to make sure you’re not only meeting your loved one’s needs, but also balancing your other responsibilities like work, caring for children, and taking the time to keep your self healthy physically and psychologically. If you’re taking on a caregiving role for the first time, there are some common missteps you can avoid that may make your new role a bit less stressful. Not understanding what’s involved in caring for an older relative. At first glance, it might seem like caregiving is a fairly straightforward job. But many new caregivers aren’t aware of all the different moving parts involved. Beyond making sure your loved one is safe, getting regular healthy meals, and is able to get to doctor’s appointments and other commitments, there are a lot of other tasks you may need to help with or take on entirely, such as making sure your loved one is taking his or medication properly and getting refills when needed, filing insurance claims, managing bill paying and banking, and monitoring his or her cognitive and mental health for signs of dementia, depression, anxiety, substance misuse, and other issues. The solution is to not only ask your loved one what he or she needs, but also talk with his or her doctors and friends to get a clearer picture of your family member’s health and daily life. It’s also helpful to talk to other people who’ve been caregivers for a while. Look for a support group in your community or through your work or ask friends who also have older family members. Not asking for help. Once you step into the role of caregiver, it can quickly become all-consuming. Many people think that since they chose to be a caregiver, they need to figure out how to make their situation work. But that approach can quickly lead to caregiver burnout. Even if things are going smoothly, it’s good to have a team in place—whether that includes other family members or paid respite caregivers—so that you know you have backup if you need it. For example, if you get the flu and can’t cook meals or check in on your family member, having other people on standby who can step in means you don’t have to scramble at the last minute to find a solution. Not caring for yourself. When you’re juggling caregiving and all your other responsibilities, the first thing that usually gets skipped is self-care. But the stress and physical demands of being a caregiver can have a significant effect on your health and wellbeing. High stress levels, lack of sleep, skipping exercise, and eating a less healthy diet can increase your risk for a wide range of health problems including heart disease, diabetes, weight gain, and depression and anxiety. This is another area where taking a team approach to caregiving can be an advantage. Set up the caregiving schedule so that each of you has some time each day for self-care, whether that’s meditation or breathing exercises, prepping meals for the week, going for a walk, or staying in touch with friends.